Professor Pauley’s book is divided into three main sections. 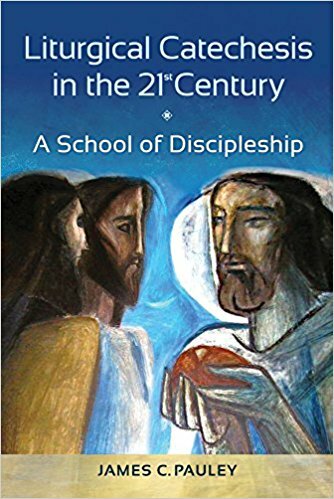 The first looks at the liturgical reform of the mid twentieth century and its origins, the second at the history of catechesis and the third looks at examples of good practice in Liturgical Catechesis from around the world. The historical account of the liturgical movement and its influence on the reform of the liturgy at the Second Vatican Council is pretty standard and will be familiar to anyone who has been following developments in the liturgy over the years. It draws out very strongly the continuing need for Catholics to once again place the liturgy at the very centre of their lives and to have a truly life-changing encounter with Christ during the Mass. What is strangely lacking is an assessment of why this has not really happened on any kind of scale in the now half a century since the reforms of Vatican II were implemented. Professor Pauley proposes an answer to that question which may be found at the nexus between catechesis and the liturgy. Here he draws heavily on the work of the Austrian Jesuit, Josef Jungmann (1885-1975) with a rather uncritical restatement of his thesis that the kerygma (the announcement of the Good News) had all but disappeared from Catholic Catechesis from Constantine until the mid-twentieth century. The mendicant orders and the counter-reformation receive all of one paragraph and once again, the state of catechesis from the 1960s to the present is not assessed in any meaningful way which can only lead one to presume that the kerygma still has quite some way to go before once again taking its place at the centre of good, effective and life-changing catechesis. I personally would have found it very useful to know what the author considers to be the reasons for this delay in the take-up of Jungmann’s ideas. The text quotes frequently from the US National Directory for Catechesis and the General Directory for Catechesis. Both are excellent resources but the former is very much written for the North American context and the latter is due to be extensively revised this year so I would expect a new edition of this book quite soon. There are some useful examples of best practice in the final part of the book and the section by William J Kenning on liturgical catechesis in RCIA is a definite highlight. One of the real insights in the text is the encouragement to move from a one-size fits all, programmatic approach to catechesis to a much more one-to-one, tailored methodology which dovetails well with Pope Francis’s emphasis on accompaniment. The resultant need for a Church that is full of disciples who can undertake the task, not only of walking beside people on their journey to faith, but who can also explain the scriptures and the liturgy to them, is one of the great challenges to the Church of both the present and the future.